The 2016 Democratic platform has the strongest language on voting rights in the party’s history. On July 2, 1964, President Lyndon Johnson signed the Civil Rights Act, the country’s most sweeping civil-rights bill at the time. All of this is on account of we want to register, to become first-class citizens. And if the Freedom Democratic Party is not seated now, I question America. Is this America, the land of the free and the home of the brave, where we have to sleep with our telephones off the hooks because our lives be threatened daily, because we want to live as decent human beings, in America. Despite Hamer’s plea, the credentials committee refused to seat the integrated MFDP delegation and the 1964 Democratic platform failed to mention the importance of voting rights. A year later, however, LBJ signed the Voting Rights Act of 1965 and put the Democratic Party on the right side of history. But now, following the Supreme Court’s 2013 gutting of the Voting Rights Act, this is the first presidential election in 50 years without the full protections of the VRA and 17 states, overwhelmingly controlled by Republicans, have new voting restrictions in effect for the first time. Against this disturbing backdrop, this year’s Democratic platform includes the party’s strongest language ever on voting rights. The Democratic Party was founded on the promise of an expanded democracy. The right to vote is at the heart of our national vision. It is a core principle of the Democratic Party to maximize voter participation for all Americans. Our democracy suffers when nearly two thirds of our citizens do not or cannot participate, as in the last midterm elections. Democrats believe we must make it easier to vote not harder. We must restore the full protections of the Voting Rights Act. We will bring our democracy into the 21st century by expanding early voting and vote-by-mail, implementing universal automatic voter registration, same day voting, ending partisan and racial gerrymandering, and making Election Day a national holiday. We will restore voting rights for those who have served their sentences. And we will continue to fight against discriminatory voter identification laws, which disproportionately burden young voters, diverse communities, people of color, low-income families, people with disabilities, the elderly, and women. Republicans have enacted various voter suppression tactics from Ohio to Florida, and while some Federal Courts have found that these measures go too far, Democrats will continue to fight these laws to preserve the fundamental right to vote. As Democrats, we support efforts to defeat ill-motivated voter suppression tactics. We support Ohio’s proposed Voters Bill of Rights amendment, North Carolina’s Moral Monday movement, and similar initiatives to permanently safeguard this inalienable right. 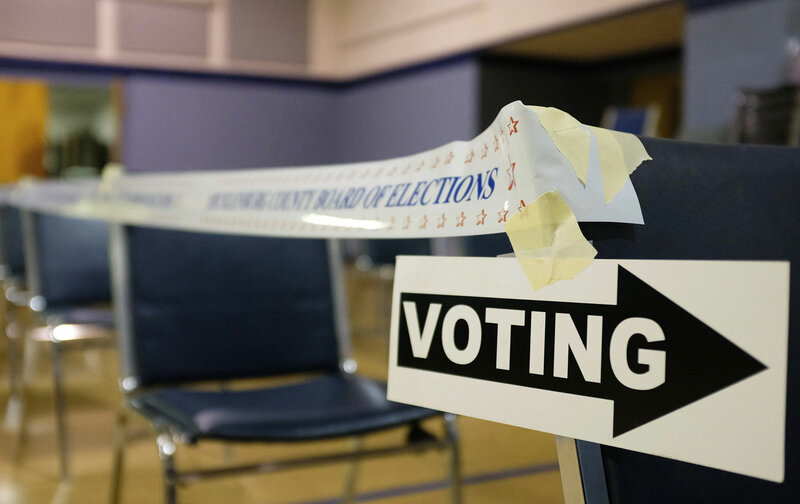 Many of these policies are beginning to catch on, such as automatic voter registration, which has been adopted by five states in the past year. Two hundred thousand new voters have registered in Oregon in the past six months since the state became the first to enact automatic registration at the beginning of this year. The 2016 platform language is significantly stronger than the 2012 platform, which criticized restrictions like voter-ID laws but proposed no affirmative measures to expand voting rights. The right to vote should not be a partisan issue, but as long as it is, Democrats need to be as serious about expanding voting rights as Republicans are at restricting them.